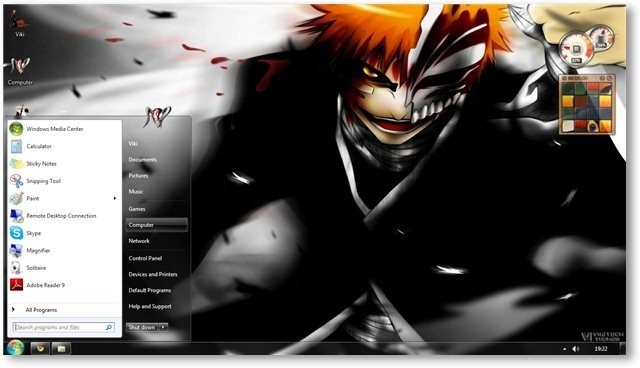 Bleach is the story of extraordinary adventures of an average 15 year old teenager, Kurosaki Ichigo. 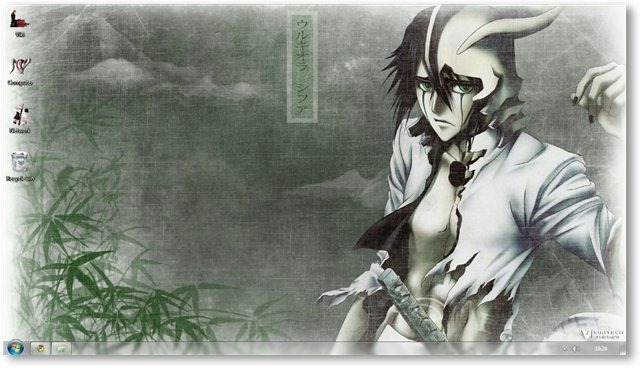 The different thing about Ichigo is that he can see ghosts/spirits called as Hollows. Events take such a turn that Ichigo himself becomes a Shinigami (Death God) and gets the duty of eliminating the Hollows. Alas, only if life were so simple! As the situation spirals out of control, Ichigo accompanied by his friends goes to Soul Society and even Hueco Mundo (where hollows live) on a series of exhilarating and dangerous adventures, to be an average teenager again. Bleach manga is created by Kubo Tite. 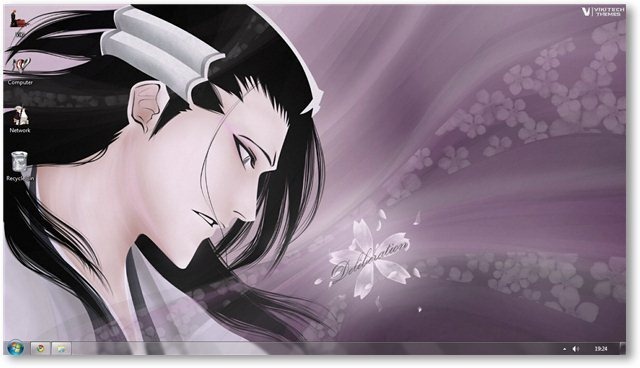 As an anime, Bleach has a wide spread popularity and a huge fan following. 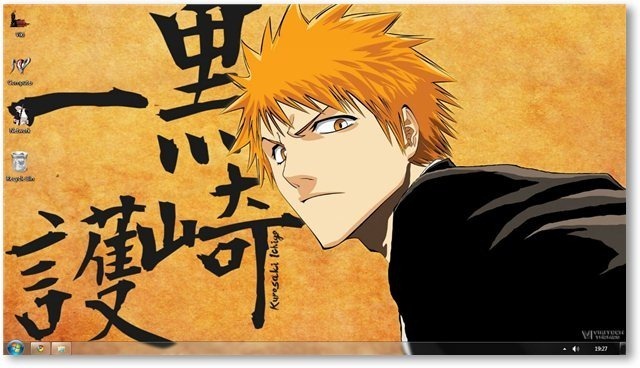 The storyline is mainly based on Ichigo as he tries to help his friends in distress. This leads Ichigo and his friends – Kuchiki Rukia, Sado Yasutora, Inoue Orihime and Ishida Uryu to many adventures, with a lot of humor along the way. 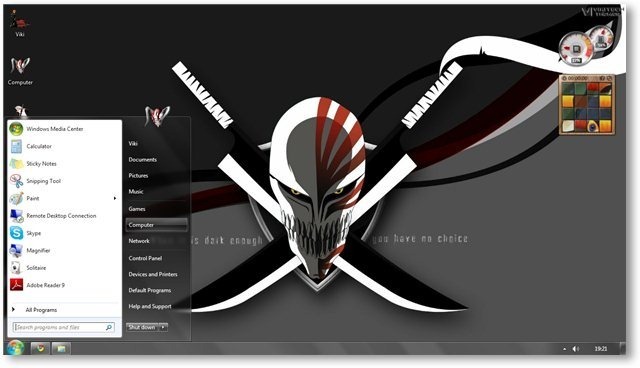 Bleach Windows 7 Themes consists of 45+ Hi-Res wallpapers, Custom sounds from the Anime, Bleach Character Icons and custom cursors. 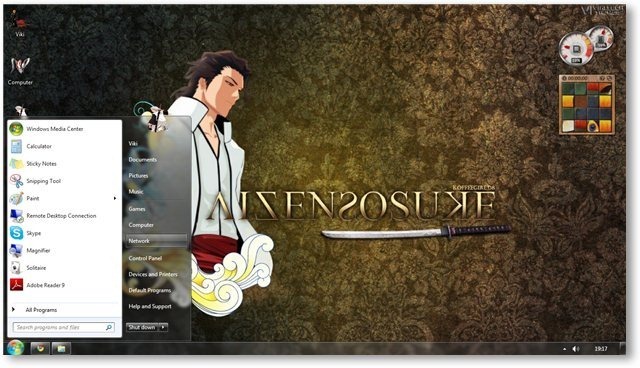 Join in the adventure as the world of Bleach descends to your desktop. Ban-kai. 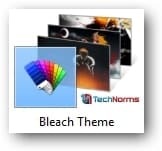 Bleach is an Exclusive Theme for all the TechNorms subscribers. 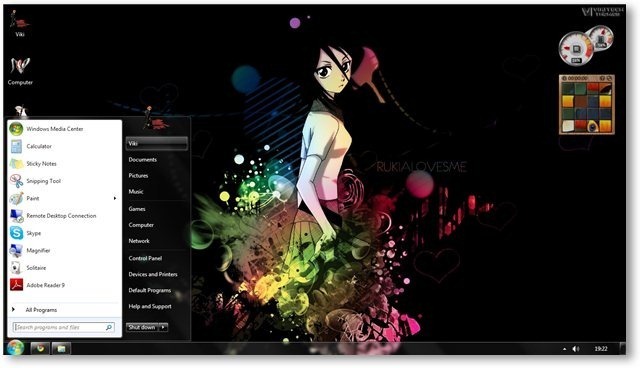 So along with Icons and cool Sounds it comes along with a set of Cursors. Check them out. 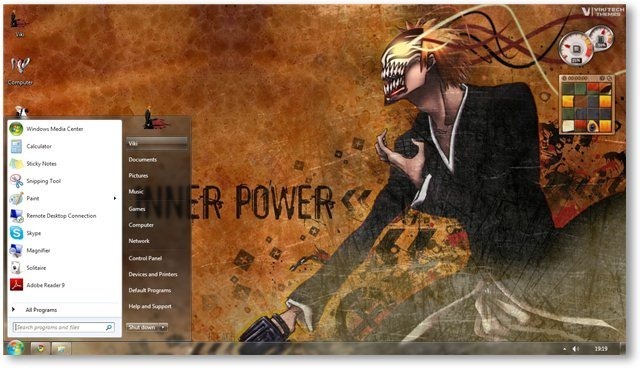 Download Bleach Theme for Windows 7. 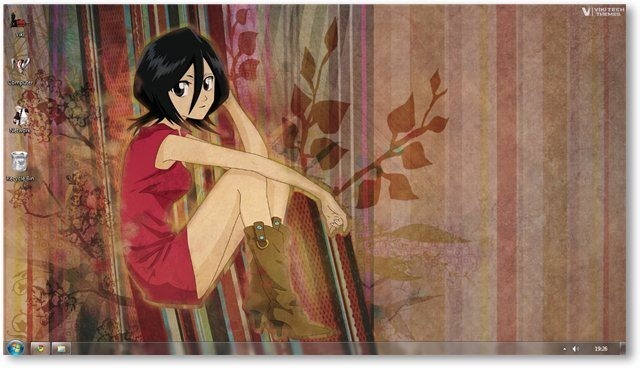 Rukia’s age is stated to be about ten times that of Ichigo, which puts her at around 150. 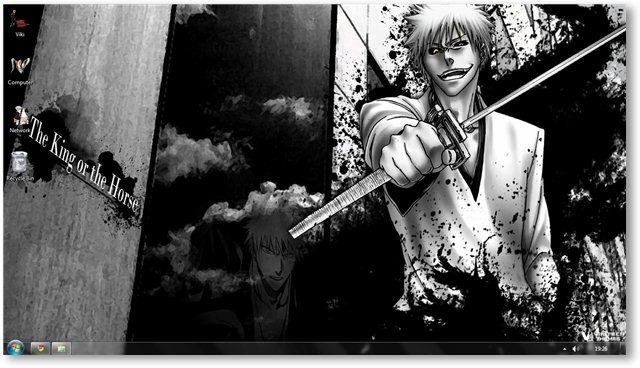 Each Shinigami has their own unique zanpakutou, and it reflects the owner’s personality and power. The Zanpakutou has two levels of release – Shi-kai (Initial Release) and Ban-kai (Ban release) which will increase the user’s attack power. Zaraki Kenpachi is the only captain not having a Ban-kai. Even his Shi-Kai is never shown.